The Pro-Lite® Airflow Wrap Around Hinged Knee Brace provides stabilizing compression for weak or injured knees. Intuitive design comes on and offeasily, while counter straps prevent sliding or rotation. No more constant readjusting! 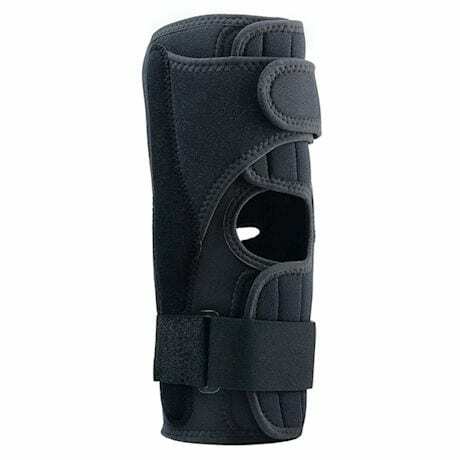 Polycentric hinges on our knee brace prevent hyperextension, yet allow you to comfortably bend your knee. So you can make the quickest recovery with the fewest interruptions! Black. To size, measure around leg 4" above the center of knee cap. Sizes: XS- 3X. See size chart. Imported. Item can only be shipped within the Continental US.